100% New, High quality connector. Note: Please note that the colour may be different due to the effect of light. 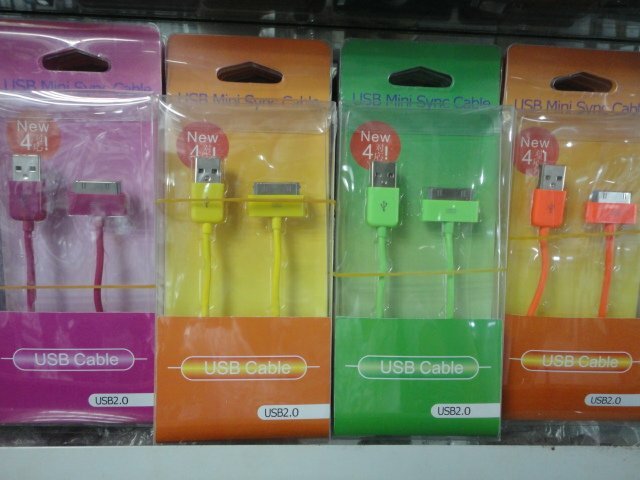 High quality as original USB cable For iPod,for iPod mini, and for iPod nano video,for iphone 4g 4gs...No external power supply required. - Designed for iPhone 4. - Connect for your iPhone 4 to any USB port. - Reliable and fast data transfer. -You can choose a method which is the most convenient for you. To protect your interests, your payment will be temporarily held by , and will not be released until you receive your order and are satisfied with it. Free fast shipping bast one 8lots or we will send via Hongkong parcel shipping,thanks! Orders are shipped within3 business days upon payment cleared. -Ship by Hongkong Post. Under normal circumstance, international shipping takes around 7-16 business days.